My mail and web host provider is in the process of upgrading their control panel software along with putting in a new server. It did not cover my requirement for very simple web forwarding. 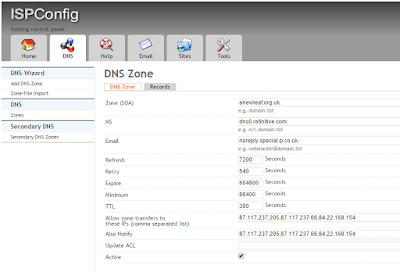 The DNS server for my domain is hosted on this new server but my blog is hosted elsewhere. While testing, I set the TTL for the domain and the individual hosts to be 5 minutes (300 seconds) but despite that Chrome cached the incorrect web site. I needed to clear the browsing history before I could see the changes working. This was all trial and error, hence these instructions. I believe, but I'm not confident that the abbreviation R, in the above, means redirect and the L means don't process any further rules on that host name. Anyway the example I based this on suggested always using the R,L type. The following bit is only necessary if you want to redirect the root domain to a web site. 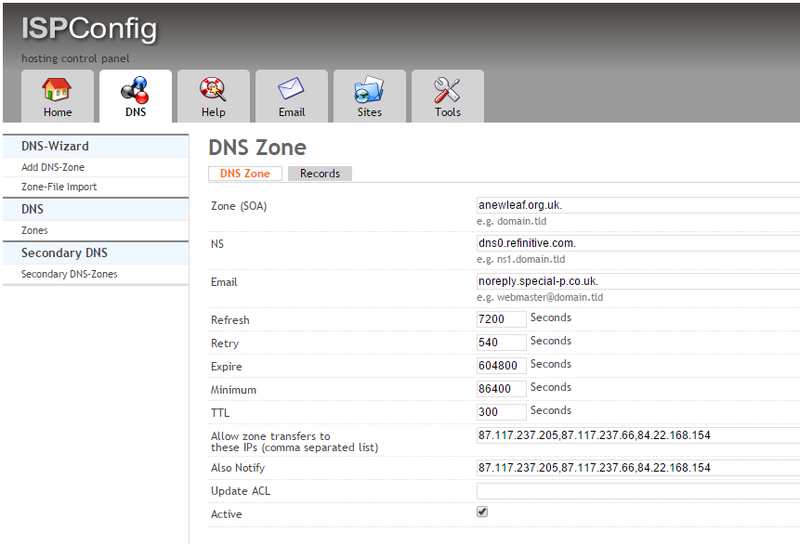 Like the alias forwarding you also need a CNAME record in the DNS for the host, in this case 'www'. After a couple of days of use, with everything working as it should, I reverted the TTL's back to 3,600 seconds for the host names and 50,000 seconds for the domain.